Top of the morning to you all. There be seas of green on the horizon, and what better way to embrace them than to celebrate with some of our favorite Irish breed dogs. These dogs are beautiful, and all lucky enough to be Irish. 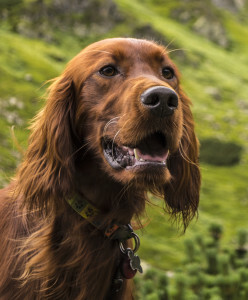 These beautiful dogs are known for their long, silky auburn colored hair. Irish Setters are known to have an amazing temperment, so they would be perfect in a household with children. Being an avid hunter, setters need to remain active. Don’t leave them unattended outside either, because they will find ways to entertain themselves. They crave human interaction, so if you’re looking for a dog to go on adventures with look no further. 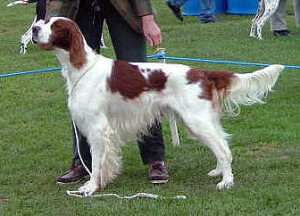 The Irish Red and White Setter doesn’t fall far from the red setter, though it is believed that the red and white was the original setter breed from the 17th century. Sadly, Irish Red and White Setters almost became extinct due to cross breeding. Luckily enough the breed was saved by the efforts of Reverend Noble Huston. 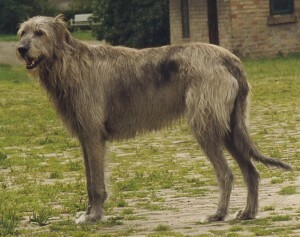 The Irish Wolfhound (or as I like to call it, the Jim Henson dog) is one of the oldest living dog breeds. Originally referred to as Cú Faoil, wolfhounds were bred as hunting dogs and often given as gifts to nobles and other important people. Don’t let the size of the wolfhound scare you. These dogs really are gentle giants. Though they aren’t considered to be guard dogs, I think the size alone can be rather persuasive. 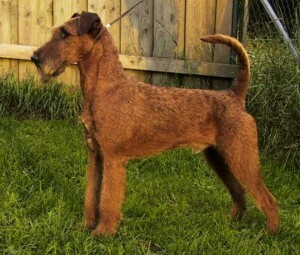 Irish Terrier’s are one of the oldest breed of terriers, and is the fourth most popular breed of terrier in Ireland and England. Irish Terrier’s are extremely active, so they are better suited with a family that loves going for walks, hiking, and other outdoor activities. Irish Terrier’s are great with children, and train extremely well. 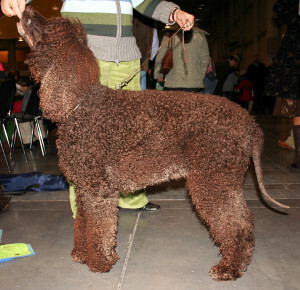 Thought to be a descendant of Dobhar-chú, the Irish water Spaniel sure has come a long way. Irish Water Spaniels are perfect dogs for people who may have allergies, due to its dense curly hair, because they shed very little. Irish Water Spaniels make great family dogs, and can be quite comedic when performing ordinary tasks. We love dog breeds of all shapes, sizes, and regions! Thank you for reading, and we hope that you have a safe and Happy St. Patrick’s Day! This weekend, the eyes of the sporting world will be on one event. 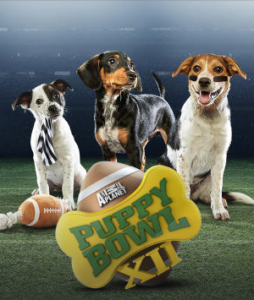 Ratings records are sure to be broken when Animal Planet broadcasts its marquee pet event, Puppy Bowl XII. On Sunday at 3 PM ET/CT, canines from the best shelters and rescue organizations in the country will bring their talents to the gridiron for the most anticipated match-up of the day. For the 12th version of the big game, 49 puppies from across the United States have been selected to compete for #TeamRuff and #TeamFluff with the hopes of bringing home the coveted MVP (Most Valuable Puppy) Award! The Puppy Bowl is a zany exhibition of tackles, tumbles, fumbles and fun. Dogs will get the chance to toss and tug their favorite toys up and down the field, trying to cross the goal line for a touchdown! Children and pet lovers of all ages will enjoy watching their favorite breeds stiff-paw their way into our hearts. Animal Planet showcases the dogs to help promote the importance of animal adoptions in local communities. This year, dogs have been selected from the Nevada SPCA, Arizona Humane Society, Mr. Bones & Company (New York), Green Dogs Unleashed (Virginia), Little Dog Rescue (Florida), Paws Chicago, Citizens for Animal Protection (Texas) and Williamson County Animal Center (Tennessee), among others. The tail (hah!) gate festivities will get underway at 2:30 PM ET with the Puppy Bowl Pre-Game Show. Sports analysts and pundits will go over last minute details and strategy for what you can expect to see in the big game. Once the game starts, the real fun begins. While watching, keep an eye out for “Ruferree” Dan Schachner and his special assistant Stanley the Skunk. They will police any puppy penalties and throw flags for any illegal “drops.” The game is also interactive — you can create your own Puppy Bowl Fantasy Team! 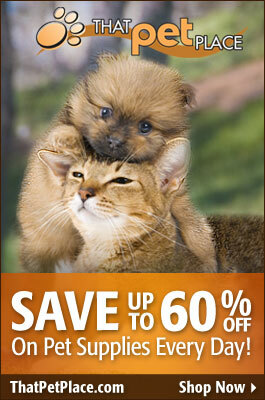 The Puppy Bowl isn’t just about dogs! The Kitty Half-Time Show attraction allows our friendly felines to get in on the fun! The San Francisco themed show will feature pretty kitties romping over famous city replicas that include the Golden Gate Bridge, Fisherman’s Wharf and “Al-Cat-Raz” island! The fun also extends to the sidelines. Chicken Cheerleaders will root on their squads and Meep the Bird will provide aerial analysis from his perch high above the field. Special Correspondent Jill Rappaport will introduce Pup Close and Personal segments to highlight the individual stories of the animals. While everyone is sure to enjoy watching their favorite pets have a ball, let’s not forget — there is still a competition! Members of #TeamRuff and # TeamFluff will try their best to punt, pass and kick their way to the MVP Award. Last year’s winner was a lab mix named Henry. Who will take it home this year? There are a lot of great dogs in this year’s big game. Any one of them could take home the top prize. Official That Pet Blog Prediction: After careful consideration, we are going with rookie standout Carolina — a 17 week old American Staffordshire Terrier — to emulate her namesake Panthers and take home the Most Valuable Puppy Award! She has been through a lot, but we know she has the drive and determination to come out on top! Puppy Bowl XII will air on Sunday February 7, from 3-5 PM ET/PT on Animal Planet. Get your family, friends, snacks and pets ready! If any of the animals from this year’s event catch your eye, or if you want to know more about pet adoptions, check out Animal Planet’s website! As the temperatures drop, as we are all bundling up and dig out our heavy coats don’t forget about your pet. If you’re cold they are too. 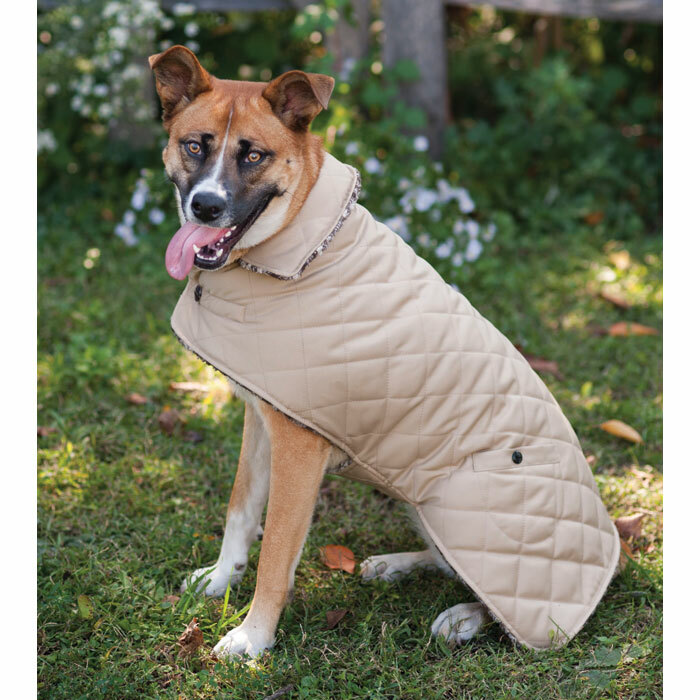 Here are 6 Products to help keep your pets warm this winter. This one may seem a little obvious but sometimes it is assumed that dogs have their own built-in coat. Depending on your dog’s breed and hair length they could need something more to keep them comfortable while taking those winter walks. If you pup needs a little extra warmth for indoors too we have a large selection of sweaters and pajamas that are fashionable and practical. Don’t forget your pups paws. Dog boots not only keep their paws warm but also help protect them from the ice and salt. 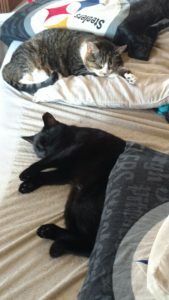 Heated pet beds are available for dogs and cats of all sizes.Does your pet have a bed they love already? Turn virtually any bed into a heated bed with one of these bed warmers. 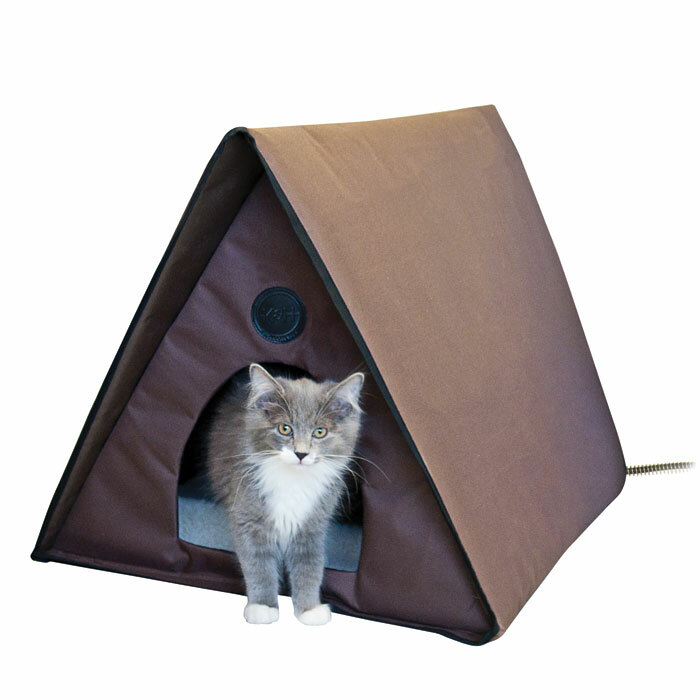 A heated cat house is a welcome comfort for outdoor cats in the colder months. If your birds cage is getting a little too cold try a bird warmer or heated perch. If you’re feeling the chill just cuddle up with your furry friends! We hope you and your pets have a warm and cozy winter. If you have any questions or suggestions leave us a comment! Now that the holidays are in the rear view mirror, many of us are begrudgingly entering the cold doldrums of winter. The idea of being stuck indoors for the next several months may leave us suffering from the “winter time blues.” But there are ways you can have fun, spend some quality time with your family and beat those winter blues. Here at That Pet Blog, we have selected a few pet themed movies that should hold you over til the thaw! With the NBA season kicking into high gear, a basketball movie is perfect for the winter. But this isn’t your normal basketball movie! It features a young boy named Josh and his pet dog — a Golden Retriever named Buddy — who just happens to be great at shooting hoops! 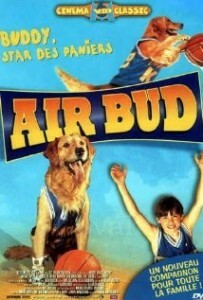 If your kids love this movie there is good news — it spawned a franchise — where Buddy has fun playing many other sports! A pig that thinks it’s a dog! 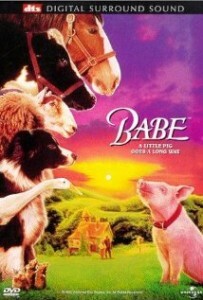 Babe is a fun film featuring a barnyard full of talking animals! The main character is a young pig named Babe, who draws the favor of the farmer, saving him from the butcher’s block. While learning how to grow up on a farm and interact with all the animals, Babe takes on the unlikely roll of a sheep dog and even enters a local herding competition! This movie was so well received that it was nominated for an Academy Award for Best Picture in 1995! For thousands of years, animals have been trying to tell us something! Haven’t you ever wanted to know exactly what your pet was thinking? 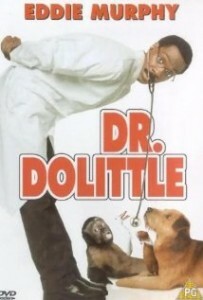 In this movie, Eddie Murphy stars at the eponymous Dr. Dootlittle and he realizes the ability to do just that! Kids and pet lovers of all ages will enjoy the fun — and hijinks — that come with hearing your favorite animals speak. This film features a star-studded cast that includes Ellen Degeneres, Jenna Elfman, Albert Brooks and Chris Rock lending their voices to various wacky animals! Walt Disney’s animated classic is a fantastic family film that you can watch one, twice or 101 times! 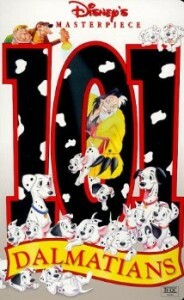 The cartoon movie follows the adventures the Radcliffe family experiences when their litter of dalmatian puppies starts to grow exponentially! But with such a bounty of beautiful babes, it’s not long before infamous Disney villan Cruella de Ville enters the picture and tries to pry the puppies away! If you like this classic version of the dalmatian tale, check out the 1996 live action version starring Glenn Close, it’s also great. 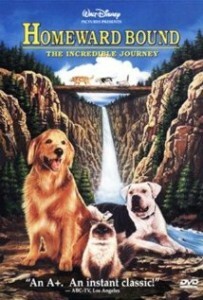 In this 1993 Disney remake of the 1963 original, three pets — an American Bulldog named Chance, a Golden Retriever named Shadow and a Himalayan cat named Sassy try to find their way to their owners. Talking pet movies always feature famous stars playing the voices and this film has ’em too: Michael J. Fox, Don Ameche and Sally Field play Chance, Shadow and Sassy respectively. Those are our choices! Did any of these make your list? Do you have others in mind we should check out? Let us know in the comments section below! Enjoy and stay warm! If you have been to That Fish Place – That Pet Place within the last year, you may have noticed all of the different rescues that we have had come into showcase their organization. When we think of rescues, we typically think of cats and dogs, but we often forget about the other animals that are in need of loving homes as well. 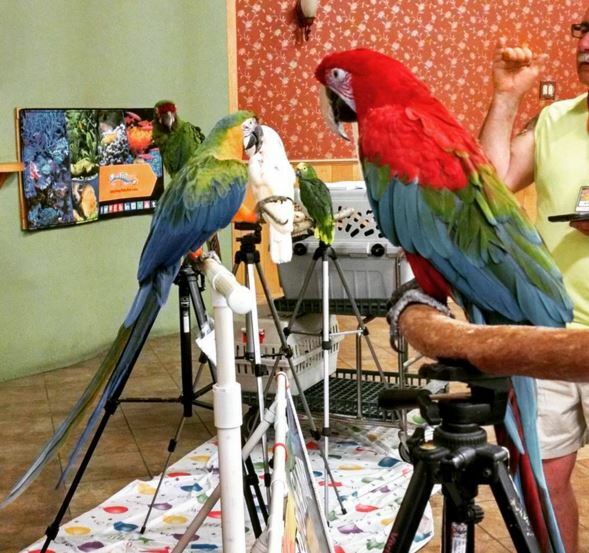 Like clockwork, our favorite bird man Alan Sipe has brought his own birds in on Saturday’s from 10am-2pm to help represent the Feathered Sanctuary out of Kirkwood. 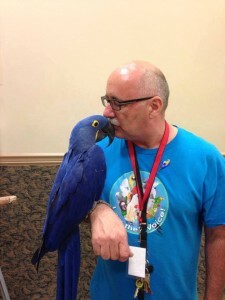 His own expertise, and the hands on experience that some folks have been lucky enough to experience help to establish what it takes to adopt a rescued bird. January is Adopt a Rescued Bird Month, and what better way to celebrate than to interview the birdman himself. What does Feathered Sanctuary cover for adopting or fostering? A certificate is given to adopters good for a free wellness check with Dr. Hall at VCA Bridgeport. Typically a cage comes with the bird. If one is not available, the adoption fee would be a lesser dollar amount. Range is from $5.00 to $600.00 and anywhere in between. Since we have a facility, we do not typically foster birds. On rare occasions we do foster special needs birds and food is provided by the rescue. Is there a foster period? If there is difficulty getting a newly adopted bird settled into a new home we will work with that person. How can I meet some of the adoptable birds? Stop in at our facility located at 1674 Kirkwood Pike in Kirkwood, PAQ, located just south of Quarryville. Do you offer educational resources and/or classes? From time to time we do offer Birdie 101 introduction classes. Also, the knowledgeable staff at the rescue will answer questions. What is a bird’s average life span? Canaries about 10-15 years, Cockatiels 15-30 years, Amazons 50-70 years and Macaws 50-80 years. Can birds be left alone if I work or go to school? Yes….they do not require 24/7 attention. A few hours of interaction daily is plenty. What does a bird cost on average a year? 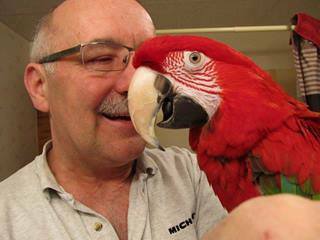 Food and toys could run anywhere between $150 a year for a small bird to $500 a year for a large Macaw! What are some of the things that the rescue does daily? Volunteers clean cages & grates, vacuum floors, feed & water birds as well as get birds out to socialize. How would I go about volunteering for Feathered Sanctuary? Stop by the rescue and fill out an application form for volunteering. Must be 16 or older to volunteer alone, but if younger you may volunteer accompanied by a responsible adult! Are there any other ways that someone can help the Feathered Sanctuary? Monetary donations are always accepted, supplies such as large garbage bags, vacuum bags, paper towels, printer paper, printer ink and much more. Where do these rescue birds come from? Birds may outlive their owners, life changes: divorce, newborn, residency move, career change, as well as neglect and/or abuse. What is one of your happiest memories from volunteering at the rescue? An Umbrella Cockatoo named Angel came in to our rescue with a kicked in cage door and the owners saying the bird was aggressive and noisy. I discovered through interaction with the bird that it was docile and lovable. The poor scared baby was just misunderstood! Thank you Alan for taking the time to answer all of our questions. If you would like to know more, feel free to reach out, and don’t forget to visit Alan at our store! Let’s face it, the majority of us spend our time on social media platforms like Facebook, Twitter, and Instagram. I personally have the pleasure of using these platforms to help keep people in the loop of all the exciting events, sales, and pets that come to That Fish Place – That Pet Place. Throughout my day I can’t help by getting a little distracted by some of the awesome pets that everyone has. Some of these pets have even skyrocketed to social media fame. 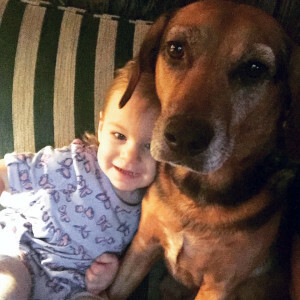 In honor of those pets, I would like to share with you my top five favorite pets from social media. Photo Courtesy of Hamilton the Hipster Cat’s Facebook. 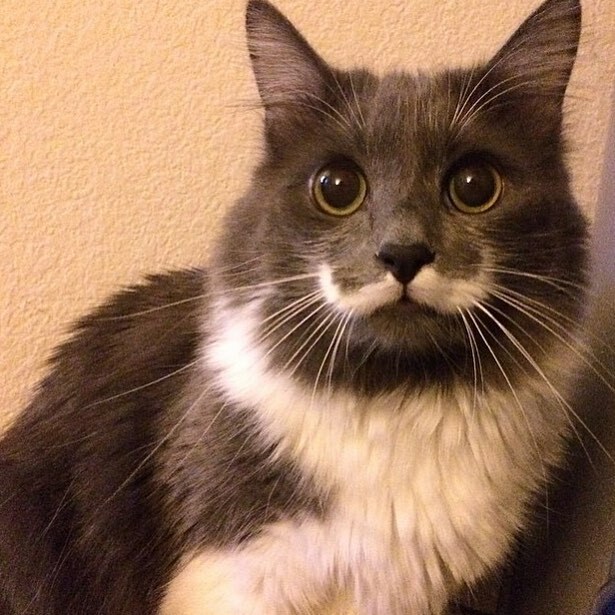 Hamilton the Hipster Cat grew a catstache before it was cool. 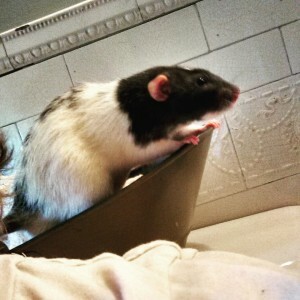 This adorable little guy was a rescue that currently resides in San Francisco, California. With over 115,000 followers on Facebook and 340,000 on Instagram, Hamilton is a force to be reckoned with. I just can’t get enough of that cute little catstache. 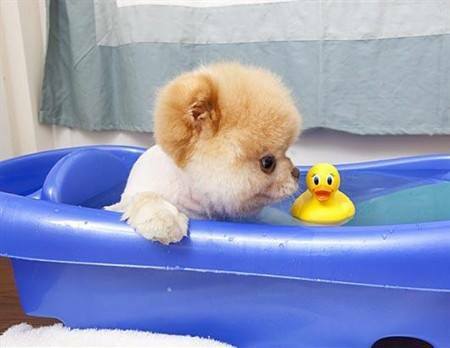 Photo Courtesy of Boo the Pomeranian’s Facebook. I didn’t think it was humanly possible to squeal for five minutes straight without collapsing from exhaustion, but that is exactly what I did when I first saw Boo. One look at Boo, and you can see why he holds the title of “World’s Cutest Dog.” Boo is by far the cutest little ball of fluff that I have ever seen, and with over a million followers on Facebook and Instagram, I know I am not the only one who feels the way that I do. Photo Courtesy of Grumpy Cat’s Facebook. 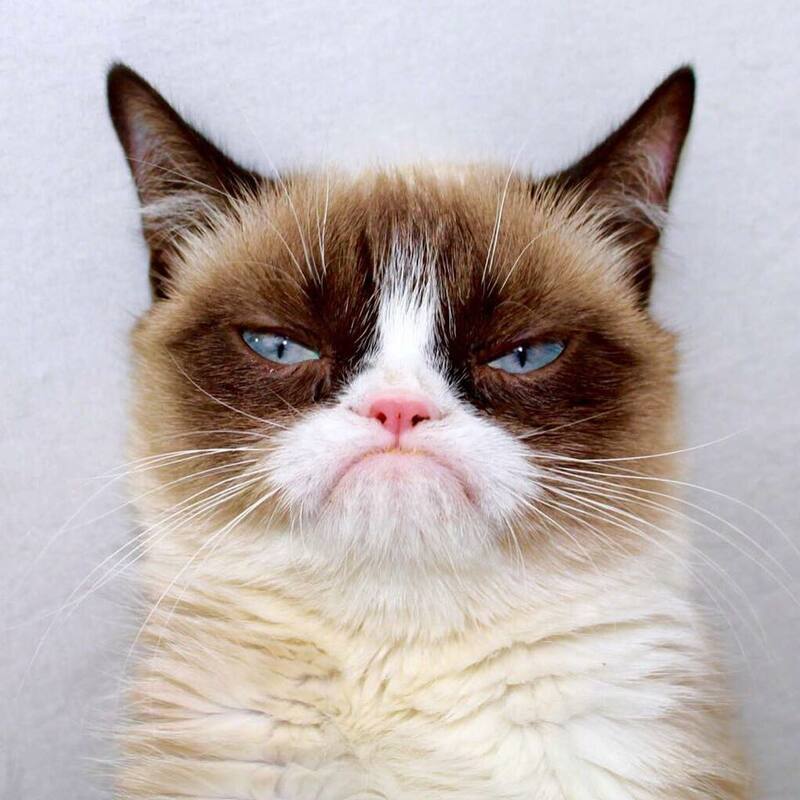 You might be living under a rock if you have yet to experience the majesty of Grumpy Cat, aka Tardar Sauce (yes, that is her real name). 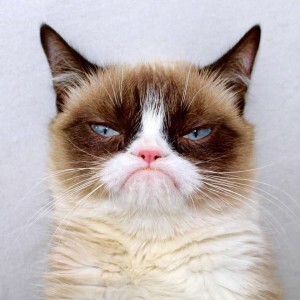 Grumpy cat got her famous face likely due to feline dwarfism. She doesn’t let that stop her, and with over 8 million followers on Facebook, 1 million on Instagram, and 50, 000 on Twitter it definitely shows. Photo Courtesy of Marnie the Dog’s Facebook. Marnie is what love at first sight means. Found on the streets in dire need of some TLC, a wonderful woman came and swept Marnie off of her feet and into all of the affection she could ever need. Though Marnie walks with her head tilted to the left (a result of Vestibular Syndrome), she is perfectly healthy and full of life! Marnie has even recently starred in some commercials for Fresh Pet. 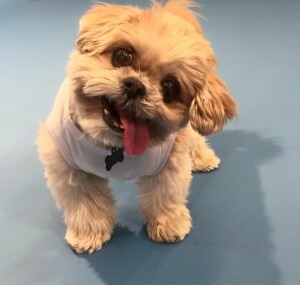 With over 300,000 followers on Facebook, over a million on Instagram, and 100,000 on Twitter, it’s very obvious that Marnie has melted the hearts of many, and is sure to be around for a long time to come. Photo Courtesy of Lil Bub’s Facebook. Last, but certainly not least, my favorite furry kitty of social media fame is none other than Lil Bub. One look at her, and you just can’t help falling in love. Lil Bub was born with several genetic mutations, one of which causes her tongue to always stick out. What makes Lil Bub a lil extra special is that her owner, Mike Bridavsky and Bub partnered with ASPCA, to create the Lil Bub’s Big Fund. Money raised by merchandise, appearances, and other events are split up by the ASPCA and in turn donated to animal rescues all across the country. 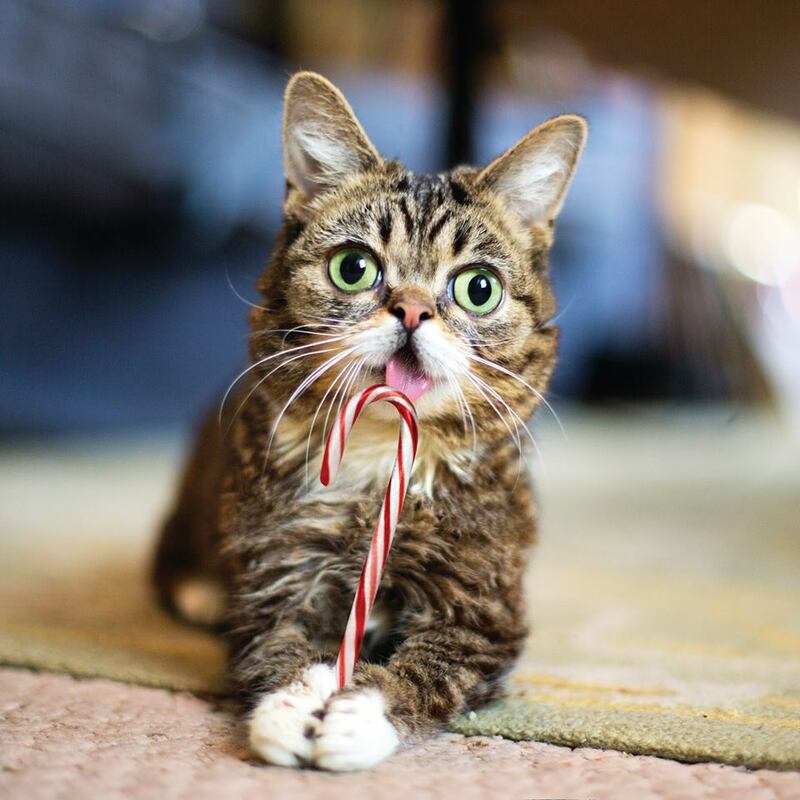 Lil Bub is living proof that special needs animals are equally awesome to any other pet. You can see more of Lil Bub on Facebook, Instagram, Twitter, and Youtube. Do you think you have the next big social media star? Feel free to share pictures of your stars on our Facebook page! We have a trio of guest bloggers today! With all of the hub bub of the holidays, my two adorable cats and my rat wanted to make sure that they weren’t left out from all of the excitement. They’re telling me that they deserve to be on the nice list, and I guess they do 🙂 They asked if they could share their Christmas lists with all of you, and I’m just not one to disappoint. shoulders while they watch television, or cook dinner. I know that mom and dad can’t keep an eye on me all of the time, so for Christmas I would like to ask Santa for a playpen. I can be out of my cage for longer periods of time, and stay out of trouble! I do love to explore but I can’t really do that on my own, so I am hoping that Santa also brings me a runabout ball this year, so that I can go on an adventure! I can’t get enough of the Yogies yogurt drops either. I think if Santa brought me a stocking full of those, I would just squeal with excitement! I’m the newest addition to the Ries household, and I am still just a baby. I certainly don’t act like a baby! I have so much energy to expense during the day and at night, that I can hardly sit still! That’s why I need a toy that’s going to keep my attention, something like the Petlinks Mystery Motion Cat Toy. This toy is sure to keep me on the edge of my seat, well…until sister walks by then I have to mess with her (of course). I know it may be asking for a lot, but I love to climb so much! If I promise to be good, I would really enjoy a new Kitty’scape Deluxe Playscape. I can climb and play on this for hours! There you have it folks! I’m hoping that my pets gave you some inspiration for that special pet in your life this Christmas. If you have any questions about some of the products mentioned, please leave them in the comment field below. Happy Holidays! This November, dog lovers from across the country are excited for the annual National Dog Show. Dogs, and their owners, will travel to Philadelphia, Pennsylvania with hopes of winning their individual breeds, groups and the prized Best in Show award. This year’s event spans the weekend of November 14th and 15th and will be held at the Greater Philadelphia Expo Center. The National Dog Show itself is held on Saturday, and includes all competitions and the awarding of the Best in Show prize. On Sunday, all dogs are available for exhibition, along with fun competitions and activities. It is referred to as a “bench show” because all dogs, when not in competition, are displayed on assigned benches so visitors can meet and interact with the various breeds. One of the top canine events in the world, The National Dog show is sanctioned by the prestigious American Kennel Club and hosted by AKC founding member The Kennel Club of Philadelphia. The Show has roots that date back as far as the late 1800s, when the forerunner of the KCP first started staging canine related events. Reorganized and renamed, the Kennel Club of Philadelphia ran their first dog show in 1912. It has been held annually ever since (with a short break during the Great Depression) and has arguably never been more popular. The event itself is not just an opportunity to see many beautiful dog breeds in top form, it is also a fundraiser that helps many canine-related causes. 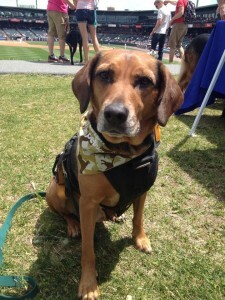 Past beneficiaries include the University of Pennsylvania’s Veterinary School of Medicine. Winning Best in Show is not easy. In order to be considered for the competition, each entrant must be considered an American Kennel Club champion. To earn this status, a dog must accumulate 15 points by defeating other dogs at an AKC sanctioned show. The most decorated dogs in the United States can get up to 50,000 points in a single year! The Show’s competition begins with champion dogs from the more than 175 AKC registered breeds. Judges compare each dog to their mental image of the perfect dog as described by their breed’s official top standard. 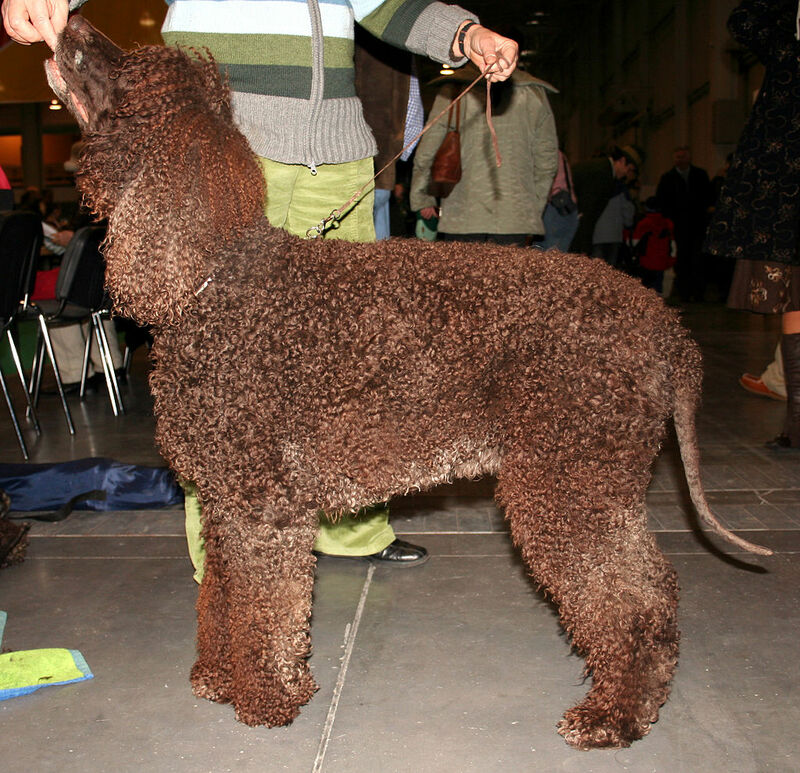 Best in Breed winners are then assigned to their related groups. The Group stage is divided into seven categories: Terrier, Toy, Working, Sporting, Hound, Non-Sporting, Herding. Each group represents the characteristics and function for which their breed was initially bred. 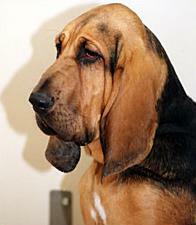 Last year’s winner was from the Bloodhound breed. The elite seven that are deemed Best in Group then move forward to the final stage. Judged to be the cream of the crop, the ultimate winner receives the coveted red, white & blue ribbon and is crowned Best in Show. Over the last 14 years, various terrier breeds have had the most success in winning the top prize. 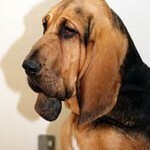 Last year’s winner was a playful bloodhound named Nathan. He has become one of the top ranked canines in the country and is a testament to the honor that comes with winning the National Dog Show’s Best in Show award. The 2015 National Dog Show will be held on Saturday November 14th and 15th. The competition will be aired on Thanksgiving Day at noon on NBC. When my parents brought home this little wiggly thing a year and a half ago I was less then amused. She started growing on me quickly and once they started giving her real food I was hooked! I am thankful to have someone to play with who sneaks me table scraps all the time. I am thankful for my big warm king sized bed that my parent bought just for me! For the last 6 years I have been the only dog on my mom’s side of the family but this year I got two new K9 cousins! I don’t care to participate in their puppy antics but it’s nice to not be the only pup at family BBQs. Having a parent that works a pet store is every dogs dream right? Not only do I get the coolest and newest treats and toys but I can go with her to work! I guess because it’s cold out these little bugs think they can make my coat their home. Luckily I am protected by some awesome topical flea & tick treatment. This awesome harness has a nifty little seat belt loop to help keep me safe and secure in the car. Now my parents have no excuse for leaving me home. For some reason my parents sometimes think they need a vacation. Even though I don’t usually get to go, I have so many awesome friends and family members who are more than happy to open their homes to me. Thanks for reading! Does your pet have a thank-you list this holiday season? I’d love to hear about it. Growing up I watched as my father tested his blood before meals, and I remember sitting there watching, and jumping right as the needle “snapped” into his finger to test his glucose levels. I grew up thinking that diabetes was just a dad disease. I was too young to understand what the disease meant, how people can get it, and how it can (in some cases) be prevented. 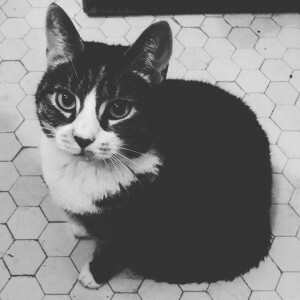 It wasn’t until our cat Roo turned 6, that we found out that she had diabetes. While some pets may be predisposed to the disease, it was by our actions that caused our cat to get the disease that eventually took her life. We got Roo from a sweet lady up the street. All of the neighbor kids would stop by Patty’s house on the way home from the bus stop for milk and cookies. One day, we were beyond ecstatic to discover the kittens her cat had birthed a few months earlier. My sister and I immediately ran home, grabbed my mother’s hand, and ran back to Patty’s house. It took some foot stomping and crying between my sister and I, but we finally convinced my mother to allow us to take Roo home. My sister and I agreed on the name, because of the way she pounced around on her little kitty feet. Looking back on it now, we definitely were not ready for a pet of our own. It started with just a friendly gesture of “here Roo, would you like to try some?” to setting our dinnerware on the ground to allow Roo to lick it clean. We thought it was hilarious watching her lick the plates and bowls. We let her have anything from tastes of our food, to small bowls of ice cream, and shared licks of our popsicles. Sugar in itself is not toxic to cats, though it is never recommended to allow your cats to have sugars as it leads to obesity and diabetes. We never knew we were doing so much harm. 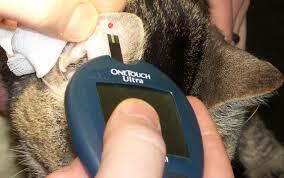 Our cat had Insulin-dependent-Diabetes-Mellitu (IDDM), and it was our fault. We first noticed the heavy increase of dander by her tail. We brushed Roo daily, but due to her increase in size and lethargy, she just couldn’t clean herself as well. After awhile we noticed that the once a day water bowl fill wasn’t cutting it, and we were filling the bowl 2-3 times a day. My mother who is now a retired RN, knew right away that something wasn’t right. She called and made an appointment for for Roo the very next day. As soon as we received confirmation from the blood tests, we all began to make a plan of attack. My mother made the decision to do the insulin injections herself, to which I didn’t have any issue with, and neither did my sister. In case of emergency we watched, and learned how to inject the insulin ourselves. We habitually ate in the living room so that we could watch television. We tried to eat more at the kitchen table, but that unfortunately didn’t last very long. If we ate in the living room we made sure that we took our plates to the kitchen when finished instead of leaving them lie. Roo was put on a weight management formula food, and her feeding instructions were held to a tee. My best advice to everyone is take care of your pets by feeding them the proper foods, and in the correct serving proportions. Our cat had to trust an 8 year old and an 11 year old, she didn’t have a choice. Our pets look to us for love, compassion, and companionship. They deserve to be taken care of. Thank you for reading, and if you have any questions please leave them in the comments below.